Editors’ note: The organization discussed in this article is located in Lawrence, Massachusetts, a historic industrial town that traditionally has a large and diverse immigrant population. Its nickname, in fact, is “immigrant city.” It also has the highest unemployment rate in the state, which in July 2009 was 17.3 percent (an increase from March 2009, when it was 13 percent) and has suffered severely from housing foreclosures. In other words, it is a city rocked by changes but where resident-driven action thrives. This article from the summer 2009 edition of the Nonprofit Quarterly, “Tempest Tossed,” was first published online on August 5, 2009. 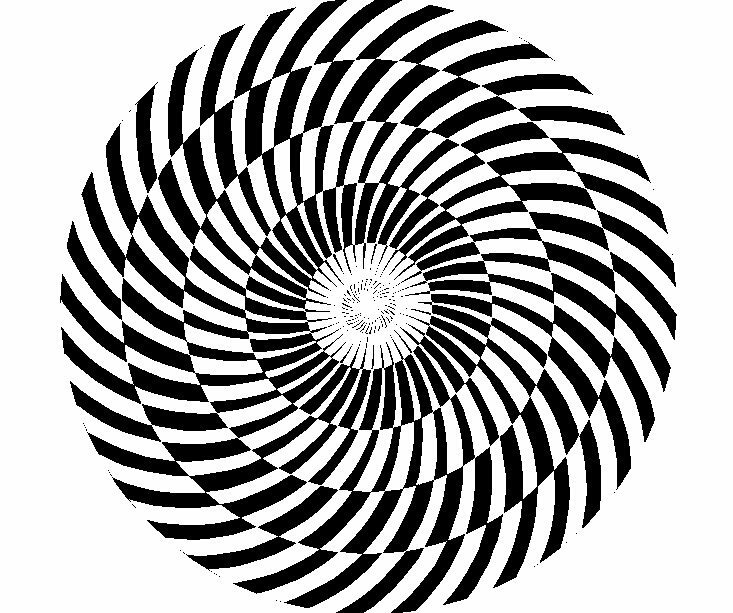 Vertigo (from the Latin vertigin-, vertigo, “dizziness,” originally “a whirling or spinning movement,” from vertō “I turn”) is a specific type of dizziness, a major symptom of a balance disorder. It is the sensation of spinning or swaying while the body is actually stationary with respect to the surroundings. The effects of vertigo may be slight. It can cause nausea and vomiting and, in severe cases, it may give rise to difficulties with standing and walking. According to some observers, “the world is flat,” and the traditional functions of leadership are on the decline. And in connected environments such as networks, the function of leadership is anything but traditional. The network to which I am connected—Lawrence Community Works (LCW)—is a case in point. We are far from a “pure” network, but we have many characteristics of a connected environment. And over the years, we have intentionally used network-centric thinking to guide our efforts. Over these years, I have grappled with finding a way to lead when many of the traditional levers of power and decision making were neither handy nor useful. Foundations and fellow practitioners often ask me to reflect on this challenge, and in these situations my mind immediately goes to this memory. I remember the first time I drove in the desert in the Southwest. Being from New England—where windy roads and trees provide only a glimpse of the sky and far- away horizons—I was rattled by the desert: the size of the sky and the enormity of the space. I had a mild panic attack—a case of vertigo— in the car. I literally had to stop and get out of the car, put my feet on the ground, and walk around to get accustomed to the environment. Slowly, I was able to absorb the dimensions and the perspectives of the desert, find a point of reference, and get back in the car and drive toward my destination with some comfort and confidence. Still, as I walked around, random thoughts moved through my brain. “This is huge,” I thought. “There is no mastering this. Things are too big, too far, too flat, too beige. I am so small. I am stuck. I am trapped.” But walking helped. Walking put my feet on the ground and gave me the vantage point that I needed. Walking, feeling, breathing, touching. It was the tactile connection that I needed to recompute my environment and get my bearings. And things did come into focus. The rules of this “place” were different certainly, but it was a place, with dimensions that could be understood and that had ground, air, plants, and things that I knew. And when I was walking, feeling, breathing, touching, I was there. I was inhabiting. So what’s so different about a network environment? First, like the desert sky analogy, a network environment is dominated by space, and so it is the space that should dominate your attention. In a connected environment, the leader has to understand that the power of these environments comes from the space, not the forms that populate the space. Therefore, the critical function of a network’s leader is the recognition of—and the creation preservation, and protection of—space. Think of pool or chess or constant-motion sports such as soccer or hockey. In all these environments, space—and the mastery of space—generally determines the outcome. What is meant by space in this context? Well, it’s time and opportunity mostly, as well as accessibility, flexibility, and options. It is the time for unfolding, time for adaptation, time and opportunity for intentional and random bumping and connecting, time for creation and time for response, time for listening and reacting, and time for deconstruction. It is the space in between, around, behind, on top of, and underneath all the action, the commitments, the transactions; all these things are forms. When the space closes, networks die, because in the clutter of commitments, expectations, structures, programs, partnerships, and so forth, there is no more space for adaptation or response. Demand (i.e., what people want and would create) is now just an artifact. The appetite for listening, responding, and creating has evaporated. At LCW, we try to build language, tools, and systems to help us recognize, create, preserve, and defend space. We try to resource the demand environment in many different ways so that we can improve on resourcing real-life opportunities rather than concepts and ideas that we or funders devise. We try to keep all our teams and committees loose and flexible, with leadership moving from person to person so that we can focus on “what we do” rather than “who we are.” This creates space for experimentation and allows things to grow and to go away when they aren’t useful anymore. We try to do the routine things as efficiently as possible so that we can save time for the complicated stuff. Over the past several years, I have found that there are three ways to create and preserve space in a network environment. First, it is important to keep moving the creative, adaptive edge of the network outward so that the universe of the network expands in three dimensions, even as it populates with forms. The principal challenge here is capacity, as an ever-expanding network requires ever-expanding resources. At LCW, we have developed strategies so that exponential growth in the network won’t necessarily mean exponential growth in the paid capacity we need to manage the network. As we grow, our goal is to have our cost per member decrease steadily. A few years ago, we initiated what we called our “sustainability mission.” The principal strategy to emerge was the creation of MemberLink, a layer of stipended member-volunteer and development programs, whereby members take on aspects of the stewardship of the network. Now we have about 30 MemberLink-type opportunities, such as Reviviendo Fellowships, NOF Internships, the Network Guides Program, the NeighborCircle Facilitators, the Movement City Residency Program, and the FAB Peer LeadersMembers can enroll in each of the MemberLink opportunities only for one term, which is usually one year. The idea is to have opportunities that members can cycle through and that can change with changing demand. The second way is to achieve efficiency by creating an efficient demand environment. This happens when you achieve the rapid creation and rapid deconstruction of forms, programs, commitments, organizational structures, and so on so that new space is always being created. In the creation, the key is making sure that only those things that truly have value get resourced (i.e., fed) by the environment and that they truly earn their way in the environment. At LCW, we call this resonance testing. This is a discipline more than a process. It is a discipline exercised by staffers who listen to ideas and demand from members. Their job is to “stay close to the demand” and “resource the opportunity” and not leap to judgment about whether an idea is good or bad. It might work this way: A member has an idea that we need a club for 10-year-old girls because they are especially vulnerable and need their own space. Staff is asked to challenge that member organization to pull together others who might agree and provide the space and time for the club to happen. If a group assembles, staff is asked to challenge the group to put on an event and to bring some girls together to do something fun and helpful. If the event takes place, staff might work with the group on a short series. In other words, we resource the specific demand rather than jump to program development before an idea has proven its value to other members. The collateral benefit of this process is that we learn by doing—through experimentation. In the girls’ club example, we have learned by moving this idea through three to four life cycles in a span of a few months. Alternatively, if we had taken the initial idea, handed it to resource development, spent six months talking and raising money, we would not have learned anything; and it’s possible that whatever demand existed would have evaporated. Of course, it is equally important to end things that no longer work or have resonance and to end them quickly. The environment has to “starve” bad ideas and activities that don’t have genuine value. K (keep it simple): We need to keep simple things simple so that we have the time and energy for the complicated stuff. Anything that can be routine should be. A five-minute problem shouldn’t take 15 minutes. S (solve the problem): In a flexible environment, we need to move through stuck places a hundred times a day. Everyone needs to make “solving the problem” the most important rule of engagement with one another. My understanding is that, simply stated, environments perform at least two functions: they feed things, and they starve things. And with this concept, I have found some ideas about how to lead. At LCW, our team intentionally created an environment that felt substantially different—that is, better—than the general environment for getting involved in Lawrence. So, years ago, we set about using new language; experimenting with new ways of doing things and creating new, fresh rooms for people to come together, feel productive, and get to know, rely on, and trust one another. We tried to foster “habits of engagement” to feed the natural generosity and respect that we know that all people carry with them. We also aggressively starved some of the behavior and habits that dominated the rooms in Lawrence. At the beginning, this caused problems, particularly among the experienced “community leaders” who were used to dominating rooms with mastery of Roberts Rules or other forms of traditional leadership. Our task was to create forms that focused on creating space and habits surrounding that process so that a culture could ultimately develop and continue to feed the right stuff and starve the bad stuff. Some of these things are just intuitive: that all people appreciate and relax in environments that are fun and have food. So, early on, we made a commitment to both. We also looked at trying to create rooms that were more productive and less focused and reliant on structure and positional leadership. So we started to experiment with and name our concepts of “form follows function” and “open architecture,” as we described above. The idea was to move process and create habits of process that were more reliant on relationship and more consistent with transition, change, and adaptation. We have found that, by and large, where an environment is flexible, adaptable, and informal, it is also more productive and feels better to most people. There are adjustments, however. In these rooms, we had to find ways to explore and recast the function of leadership and to reinforce habits of leadership that are more consistent with a connected environment. For instance, in 2004, we began to experiment with and recognize “weaving” as the principal and highest form of leadership in the network. We developed training curriculum and protocols based on dialogue and debriefing so that we could dig into the process of engaging and connecting people to one another. We created the Reviviendo Weaver Award that we presented to a member at our gala annual meeting and also presented a leader of the month award at board meetings. Now “weaving” is a core part of the learning and teaching of our Guided program. In connected environments, leaders know that networks are always teetering on the edge of balance, requiring many small adjustments to achieve a measure of dynamic stasis. I have found that a network leader has to be in constant motion, paying attention to the habits and the small stimuli needed to incessantly reconstitute balance and motion. One must learn to feel the current of change, look for and recognize resonance, and deploy oneself not as prod, but as a pivot for the many moments of change that are called for every day. I have learned that one can’t possibly do this alone. In fact, in this process there is no “alone.” If this is all madness—which it feels like a lot of the time—a leader is not a mad scientist on the outside pulling levers and pushing buttons, but rather a mad inhabitant, an intentional inhabitant, who deploys himself as a key variable to influence the environment from the inside. This is a critical cognitive and functional shift in leadership. A leader has to genuinely participate in the environment to deploy himself appropriately. The challenges of this way of being are profound, and these challenges start with fundamental reflection on who you are as a person and how you move through the world: how you exhibit fear, react to change, deal with letting go of power and ego; how you listen and observe, and the keenness of your instincts for both conceptualizing and synthesizing; and how you hold onto or let go of strongly held convictions about what is right and what will work. All these things are rooted in the essence of who we are as people. So to do this well, does one have to achieve some high level of enlightenment? Not having achieved that myself. I would say it would probably help! But even if complete self-awareness is beyond most of us, it is nonetheless critical to approach this role from the inside out and to see self-knowledge as a critical element of the leadership development process. Again, this is not something that one can do alone. Being a part of a team of people who all at least recognize the importance of the self-awareness process and, ideally, who share a language and the space to challenge one another is critical. Time and time again, I have been challenged, for example, about my instinct to create logic models and narratives about a situation or person—a great skill, no doubt, unless and until one starts to ignore evidence that contradicts the model. I have also been challenged to reflect on my tendency toward being solitary, especially when I feel overwhelmed and afraid or when something has gone wrong that I think I need to fix. In these moments, I have been challenged to get help from others in a way that, to this day, can feel uncomfortable. I have been challenged to let go of structure and formality as the path to clarity and progress. This idea has been so central to who I was for so long, it’s astounding to me every time I choose to let go and let it unfold, to see the power that flows into the room from others who want that same clarity and progress and who are also willing to give up closely held convictions to achieve that together. These types of challenges are about behavior, but also rooted in deeper self-awareness, and so the process is long and hard. The leader of a connected environment is engaged from the inside out. To be sure, I still have moments of vertigo—it is inescapable, it seems to me—because the environment is always shifting. But most times now, I can trust that my feet will find some ground eventually, and my faith is reinforced by knowing that the payoff for hanging through these moments is so worthy. The mistakes that I make now are when (1) I do not have the emotional energy to be truly engaged, (2) I have moments where I forget what I have learned, or (3) I fear and react against the imperative of letting go. In these moments, I pull in, try to prod, feel like a victim, and let my ego rule the day. In these moments, I am lucky that I am a part of a team of people at LCW and with colleagues around the country. Increasingly we struggle together and are intentional about supporting one another—through forgiveness and truth telling—so that we can continue to build connected environments that feed the world by feeding the best of what it is to be human. Bill Traynor is the former Executive Director of LCW and a nationally known community development consultant specializing in resident engagement and comprehensive community revitalization. He led LCW through an organizational rebirth and tremendous period of accomplishment and growth, and is now spreading the lessons learned in Lawrence throughout the field. He is still regularly present at LCW, spending an average of four days a month consulting with staff on special projects.